*This is not my personal earnings. Being a stay at home mom, I have researched many ways to make money online. You have to be careful because there are a lot of websites scamming people. When I say a lot, I mean hundreds of thousands. I see probably 20 new videos and ads for these scams daily. There are some legitimate ways to earn money online though. None of them are ways to get rich quick. They all take time, patience, and a lot of hard work. Direct Sales – These companies use independent consultants to sell their products. In return, the consultants earn around 20% of the sale price as commission. I am a consultant with one of these companies and I do not recommend it. They have some really great products. I’ll give them that. It just takes a lot of time and effort to make a little bit of money. I joined last April and I haven’t even made back the $99 start up cost. Transcription – I don’t have much experience with companies that do this. The idea of transcription is to listen to audio files and type what is said. I’ve applied to 3 or 4. So far, only one got back to me about 7 months later. From what I’ve read the pay really isn’t that great either. Blogging – Blogs are pretty much the same idea as YouTube. The only difference is blogs are written while YouTube is videos. You can use all of the same income streams. I’m just starting out, so I haven’t made any money yet. I’m going to try as hard as I can to make some. If you enjoy writing, this idea would work for you. Posting Ads/ Mailing Fliers – For these companies you either copy and paste an add on your social media page or mail out fliers. They are absolute scams. I’ve done quite a bit of research on them and haven’t been able to find how you make money from them. The only thing they say is get recurring payments of so much. Plus, they have a start up fee. Please stay away from these types of companies. Freelance Writing – When you don’t want to start a blog, there is always freelancing. You really have to be a go getter to make money in this field. Freelance writing means to write for other people and they pay you. This could be anything from a blog post to a movie script. Most of the time you have to go after the jobs you want because it is a vary competitive market. I’ve never done freelance writing. Although it is something I’d like to tackle in the future. Online Store – To be honest, I really don’t know all that much about operating an online store. You need some money before you try it out. I know there are many parts of having a store online. You have to find merchandiser’s, build a website, get a p.o. box, and learn marketing. 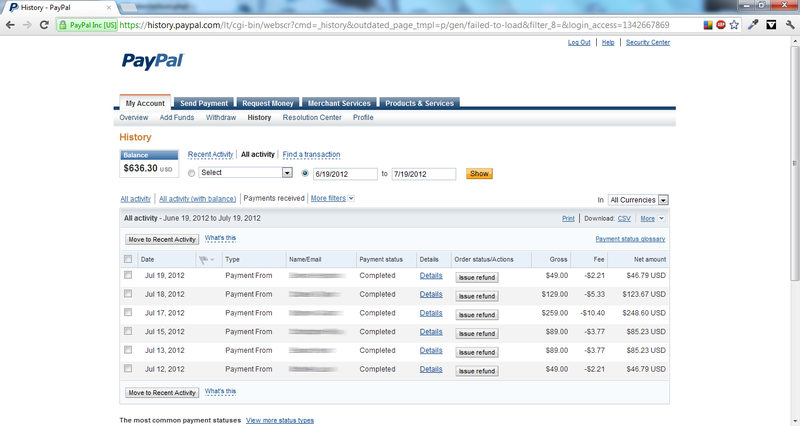 I added it to the list because of you are dedicated and learn how to do it right, it can be a very lucrative business. Drop shipping – Think of an anime store without inventory. The idea of this kind of scares me. When customers have a problem with a product, I’m not even sure how you would fix it. Basically, you find wholesale merchandisers that are selling stuff for cheap. Then, you lost it on your website at a higher price. When someone purchases that item, you buy it from the merchandiser’s website and have it shipped directly to the customer. You get the difference in prices as your profit. I really wouldn’t recommend this. Testing Websites – People will pay you to go in and see how well their websites function. From what I’ve read, the work is very sporadic. Also, the pay doesn’t seem to be all that great. I’ve only had an experience with one company and it was horrible. There was a test I had to pass and the computer could never here me. I felt really awkward talking out loud to myself. The test itself was really confusing. I do not recommend these websites. Affiliates – These programs are like direct sales, but more simple. If you are an affiliate for a site you like, you promote certain products and get paid a percentage when someone buys through your link. You can even have downlines through some of them. The best part is, they can be posted all kinds of places. Try posting on a social media page, blog, or YouTube video. It’ll start out slow, but everything ads up. Needless to say, I wouldn’t join any companies that tell you if you pay X amount of money, you will make Y amount of money. The best way to make money online or off is to start your own business. Remember hard work pays off. If you enjoyed this, stay tuned. I will be doing some posts going into more detail on each one of these. Check us out every Monday for a new post. Have a great day everyone!